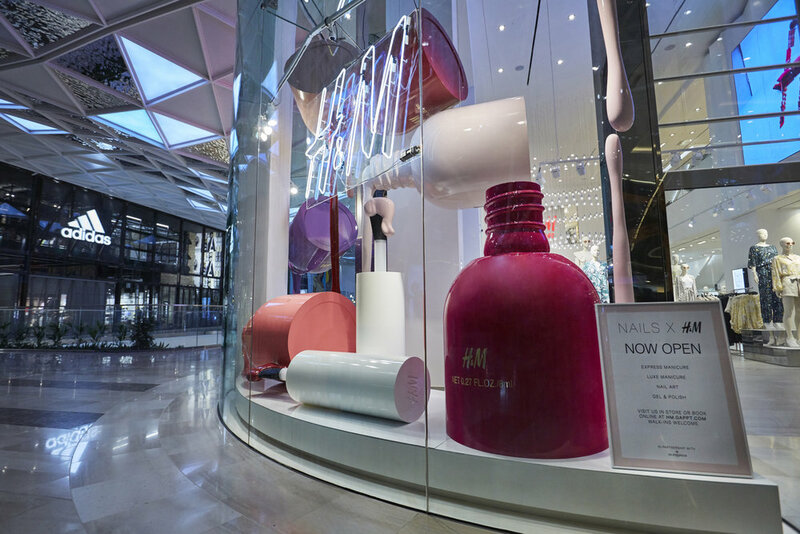 To help promote the launch of the new H&M Nail Bar and nail polish range, Propability produced a striking and colourful window display featuring oversized nail polish bottles, drips and splashes. 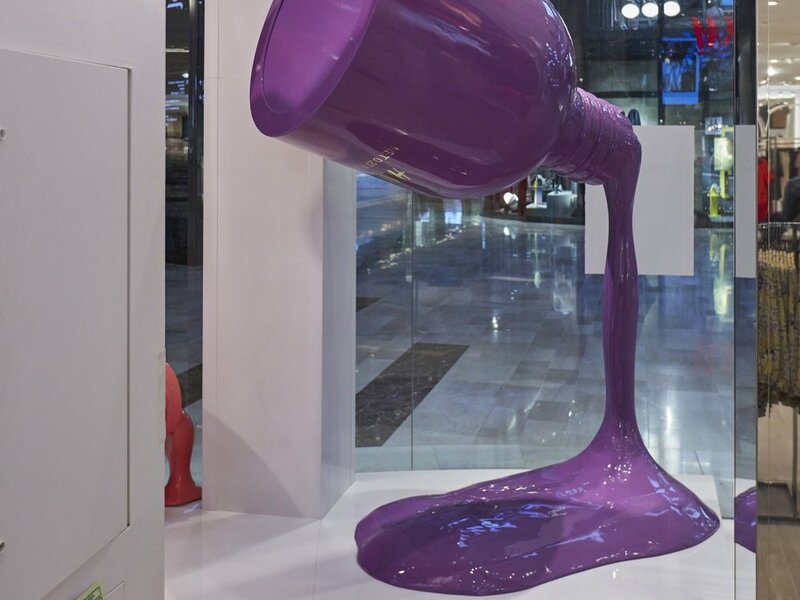 Eight nail polish replica bottles standing 1.2 metres tall were created in fibre glass, sprayed in different colours and finished in a high gloss lacquer. In addition two nail polish brushes and 3D sculpted nail polish drips and splashes in corresponding colours were also created. The window provided a visual feast of colour with the bottles suspended from hanging points installed by Propability. The props were suspended eight meters overhead with the splashes and drips then hung from the bottles for optimal impact.